Simply put, a domain name can be considered as the name that a person or business chooses for his/its website. It is used to identify a registered Internet Protocol (IP) address which online visitors can use to access a website. Examples of some domain names are “google.com”, “facebook.com” and “linkedin.com”. A domain name can be regarded as a company’s unique identity and most individuals and businesses usually invest in registering a domain name. A domain name can comprise of a combination of letters and numbers. It is however advisable to choose a name that is distinctive so users can easily identify it. If a common domain name is selected by a company, it may be difficult building a reputation with the name and impossible to prevent other competitors from using it. Every domain name is required to have a word (Second-Level Name) and a suffix (Top Level Domain Name). For example, with the domain name linkedin.com, “linkedin” is the Second-Level Name and the suffix, “.com”, is the Top Level Domain (TLD). TLDs can be classified as generic Top Level Domains (gTLDs) and Country-Code Top Level Domain (ccTLDs). Companies can register their domain names in any number of TLDs. The company may choose from gTLDs (such as “.com”, “.net”), or ccTLDs (such as “ng’” for Nigeria and “.za” for South Africa). It is important that you protect your domain name by registering it with a Second Level Name that is closely related to your brand. Examples of some relatively popular domain name disputes highlighted below may help to put this in perspective. IKEA is a company that designs and sells ready to assemble furniture and is the world's largest furniture retailer. In 2001, IKEA won a high-profile domain name regarding the domain name “ikea.com.cn.” The matter was instituted in China against a Chinese company as IKEA, which had registered its well-known trademark, was able to show that the Chinese company (CINet) had registered multiple domain names for financial gain and was potentially misleading consumers about the relationship between IKEA and CINet. In 2001, Bruce Springsteen commenced an action when he discovered that a domain name, “BruceSpringteen.com”, had been registered to a cybersquatter, Jeff Burgar. He however lost the domain name dispute when the World Intellectual Property Organization (WIPO) panel ruled 2-1 in favour of Burgar as there was no evidence to show that Bruce Springsteen’s name was trademarked. In 2012, long before the iPhone5 had been manufactured, Apple filed and won a domain dispute claim against the domain name owners of iPhone5.com. Apple has also secured ownership of other sites such as iPhone4.com and WhiteiPhone.com. Can a domain name be protected as a trademark? In several instances, it can be argued that a domain name performs similar functions as a trademark. While the trademark is a mark that customers can use to identify a brand or a product, the domain name serves as an identifier and draws visitors from any part of the world to the company’s website. 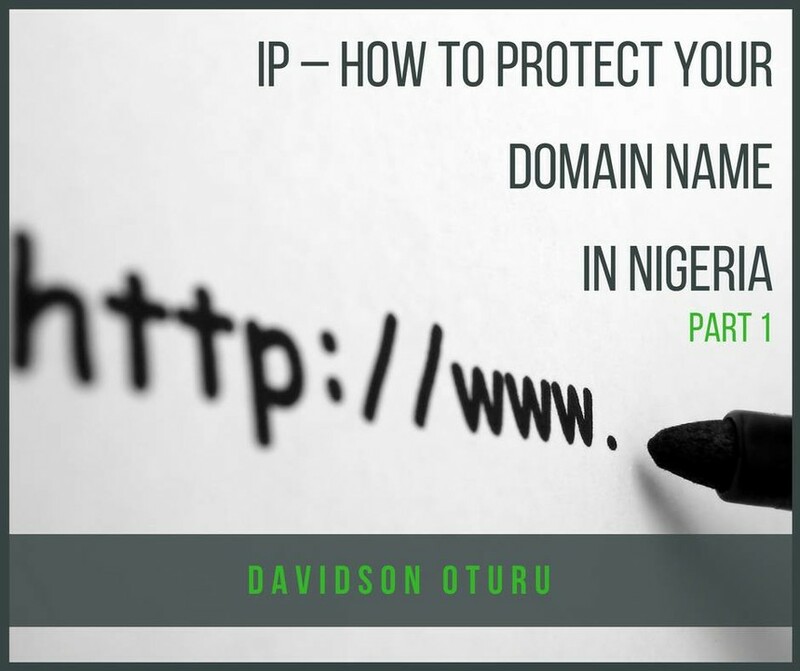 In considering the protection of a domain name, one needs to be aware that in most jurisdictions, it is possible to register domain names as trademarks, provided that the domain names satisfy all conditions for it to be registered like the trademark and service marks. Thus, if the domain name is distinctive and is capable of distinguishing the goods or services of a company from that of other companies, it may be registered and protected as trademark or a service mark. Furthermore, in order to qualify for registration as a trademark or service mark, it must be distinct from other domain names and well-known trademarks so that it does not mislead or deceive customers or violate public order or morality. Generally, trademarks are only protected in jurisdictions where they are registered. In other words, where trademarks are registered with a trademarks registry in a particular country, they may not enjoy worldwide protection as the protection they enjoy is limited to the country where they are registered. Due to this limitation, it may not be advisable to register a domain name only as a trademark as this would limit its protection. Due to this limitation and other factors, the Internet Corporation for Assigned Names and Numbers (ICANN) was established to oversee and regulate the domain name industry. The tasks of ICANN includes the responsibility for IP address allocation, protocol identifier assignment, TLDs system management and root server system management functions. Furthermore, ICANN exercises such regulatory powers as accrediting domain name registrars, setting base prices for domain names, protecting domain name trademarks, and punishing wrong-doers. It is also the responsibility of ICANN to address the issue of domain name ownership resolution for gTLDs and it has, in conjunction with WIPO, developed the Uniform Dispute Resolution Policy (“UDRP”) and UDRP Rules. Through the UDRP, ICANN and WIPO have provided a mechanism for rapid, cheap and reasonable resolution of domain name conflicts by avoiding the traditional court system for disputes and allowing cases to be brought to a set of bodies that determine domain name disputes. This is the end of Part 1 of this article. In part 2, we will consider how a domain name can be registered and the dispute resolution procedure that can be adopted where a company intends to challenge the ownership of a domain name. You may contact me at doturu@aelex.com for more information on intellectual property, franchising and brand protection.